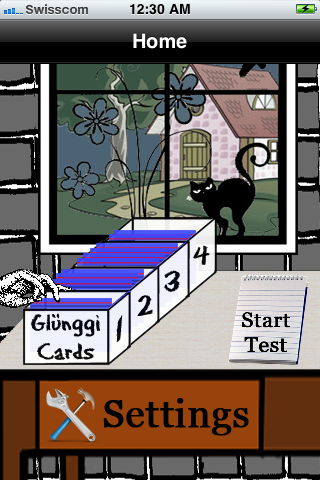 With Index Cards you can create your own index-cards for learning a new language. You can download word-lists from other users as well as upload your own lists. 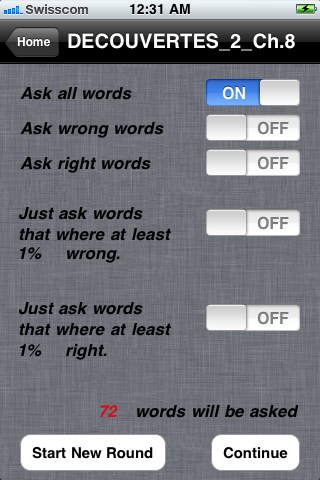 Additionally you can create a private account to upload/backup your word-lists without every one having access to them. Index Cards has two different ways to quiz you: with or without entering the answer. If you don't enter the answer, you can simply turn the index-card to check whether your intended response was right. Now there is a program (Windows, OSX, Linux) ready for you to comfortably create/manage your lists on your computer instead on the small iPhone keyboard. Are you more than one person who has to learn the same words? Just upload your word-list to the pubic folder in order to make it aviable for everyone. 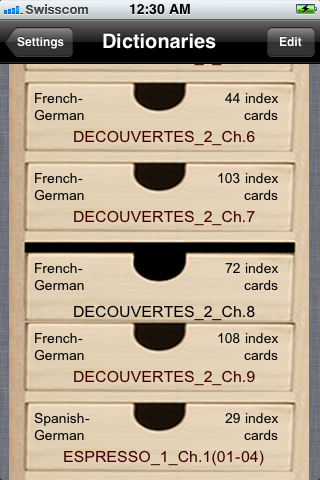 Buy Index Cards now for only 99 cents and make your studing process a lot easier.